Vero Software has released an update to Alphacam 2019 R1, is a leading CAM solution for milling, routing, turning, profiling and wire eroding, from 2-Axis through to 5-Axis programming. 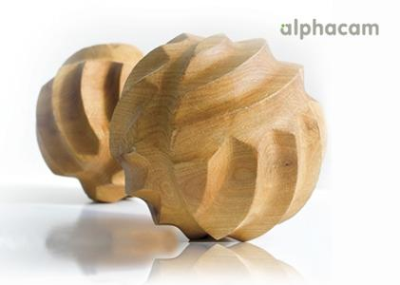 Updated nesting and automation functions top the bill in the latest release of Alphacam. Vero Software is a world leader in CAD CAM software with a proven track record of reliable product delivery. Vero develops and distributes software for aiding the design and manufacturing processes, providing solutions for the tooling, production engineering, sheet metal, metal fabrication, stone and woodworking industries. The company's world-renowned brands include Alphacam, Cabinet Vision, Edgecam, Machining STRATEGIST, PEPS, Radan, SMIRT, SURFCAM, VISI, and WorkNC, along with the production control MRP system Javelin. Despite the diversity of application, these solutions have one thing in common: they all address the rising challenges of achieving manufacturing efficiencies and bring huge value to the operations where they are deployed.